The 2016 EMC Elect were announced today and I am very proud to have been included in this group amongst 71 other IT professionals. I was waiting for this information forward and I will not hide that for me is a big thing. Although it is not official certification, its “only” community award from people that operates in an EMC environment. I have to admit that the path of development, vision, strategy and EMC products generally very me “lie” and with great pleasure I crunching their solutions. In my opinion, EMC is a decisive leader when it comes to solutions for storage and cloud (very often you can read on the Internet that a other company released ANSWER for the EMC product . It should be up to date with the EMC/Dell company and keep track of her ideas, I in any case I’m not going to let go and you can expect many more entries on this blog devoted to the EMC. 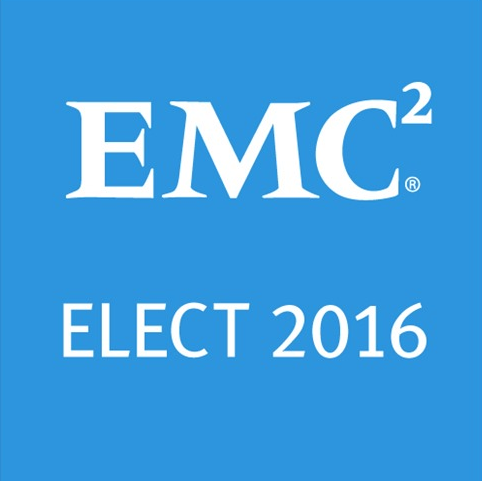 Ah, well, one more thing, I checked the list and it looks like I’m the first man from Poland who won the EMC Elect award!